— Richard Branson, SpaceX founder Elon Musk and Amazon CEO Jeff Bezos are all battling it out to be the first to send paying tourists into space. VIRGIN Galactic will send people to space this Thursday as their space tourism rocket plane reaches “space altitudes” for the first time ever. Richard Branson’s company says its next test flight, which is scheduled for Thursday, will “burn the rocket motor for durations which will see our pilots and spaceship reach a space altitude for the first time.” They said their SpaceShipTwo, VSS Unity, had entered the next stage of testing which will “expand the envelope for altitude, airspeed, loads, and thermal heating”. Two pilots will be on SpaceShipTwo for the flight. Over 600 people from 50 different countries have already reserved places to fly with Virgin Galactic when all testing has been completed. 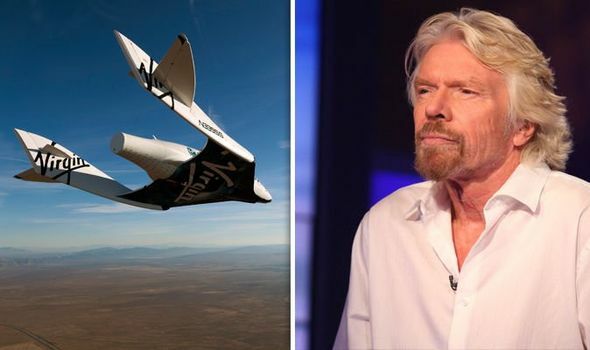 Mr Branson has previously said Virgin Galactic will carry passengers beyond orbit “not too long after” the test flight. The space firm will also look to simulate the commercial weight distribution on the test flight to prepare for future passengers. A spokesman for Virgin Galactic said: “Our window for our fourth powered test flight opens on December 13, 2018. At a basic level, this flight will aim to fly higher and faster. “We plan to burn the rocket motor for longer than we ever have in flight before, but not to its full duration. Richard Branson, SpaceX founder Elon Musk and Amazon CEO Jeff Bezos are all battling it out to be the first to send paying tourists into space. 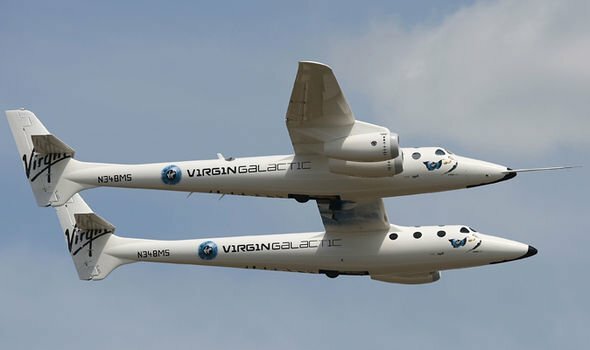 Virgin Galactic, who are charging £190,000 for a seat on one of its commercial flights, has said it will be sending passengers to space in 2019. But Mr Branson has admitted the number of claims he has made about Virgin Galactic flight dates has been “embarrassing”. Virgin Galactic, founded in 2004, has been working to take tourists on a brief journey to space, dozens of miles above the Earth’s surface. Tourists will spend just minutes floating in zero gravity, aboard a spaceship that approaches or passes through the Karman line, the boundary of Earth’s atmosphere and space, 62 miles high.